Hi friends, in this article, I am going to discuss about components of hvdc transmission system and types of hvdc transmission system. I hope you will find it useful and interesting. Transmission and distribution of electric power are done using alternating current, mainly due to economic reasons. However, due to the development of high voltage thyristor converters and due to the technical limitations of AC power transmission over long distances, high voltage DC transmission is preferred. A typical HVDC transmission system is shown in Figure. In this system, the AC produced by generating stations is stepped up and converted to the DC with the help of a rectifier unit. Then this DC is transmitted by the HVDC transmission line. At the receiving end, an inverter unit converts the received DC back to AC. Now this DC is stepped down and distributed. The converter at sending end converts AC power into DC power while converter at the receiving end converts DC power back to AC power. Thus, the first converter acts as a rectifier unit whereas other one acts as an inverter unit. The rectifier and inverter units make use of thyristor for controlled operation. By varying the firing angle of the thyristor, the magnitude DC output voltage is controlled in these units. By changing the firing angles α1 and α2 so that converter which was previously working as rectifier can now work as the inverter and vice versa. Hence, power flow can be reversed in this system very easily. By changing the firing angles α1 and α2, the polarity of the voltages change but the direction of current remains the same as the thyristors can conduct only in one direction. As in this transmission system voltage levels are high, each thyristor shown in Figure actually consist of many thyristors connected in series. Such a combination of thyristors is known as a valve. All the thyristors in each bridge arm of the rectifier are triggered at the same instant. Hoping you have understand the working of HVDV transmission system. Let us head over to the “components of HVDC transmission system”. microwave communication link between the converter stations. On DC and AC side of the HVDC transmission system, harmonics are produced. It may produce undesirable noise in the neighboring communication system. Thus to remove these harmonic currents, harmonic filters are used. This filter bypasses the harmonic currents to the ground by providing a low impedance path. The filters for each phase are connected in star and the neutral point is grounded. The inductors connected in series with the line are used to smooth the DC output of the converter. With the use of these inductors the DC line current is prevented from increasing rapidly under faulty conditions. An air cored magnetically shielded reactor is used for this purpose. It is used to provide the AC voltage required by the converter. A delta type three-phase transformer may be used for this purpose. A third winding known as tertiary winding may be added sometimes for direct connection to the source of the reactive power. The converter transformer on the rectifier side is provided with tappings to maintain the input AC voltage nearly constant. The taps are automatically switched by a motorized tap changer. The taps are also provided on the converter transformer on the inverter side. The variable static capacitors or synchronous capacitors are used for absorbing the reactive power of the converters. The requirement of the reactive power increases with the firing angle of rectifier and extinction angle of the inverter. This power requirement is about 50 % to 60 % of real power transfer. As the transmitted active power varies, the reactive power must also be varied. The DC currents in the ground have a corrosive effect on cables, metallic structures, and cables and it causes interference in the converter transformer. To avoid these problems, the actual ground electrode is placed far from the converter station. At the grounding site, special methods are adopted to minimize electrode resistance. A communication link is necessary between the converters at both the ends of the line for controlling purpose. The controlling information is continuously transmitted by a high-speed communication link between the two converters. It was the detailed description of “components of hvdc transmission system”. Now let us talk about its types. The path of DC current which has the same polarity with respect to earth is known as the pole. On the basis of the arrangement of pole and earth return, HVDC systems are classified into different types. Following are the different types of HVDC transmission system. 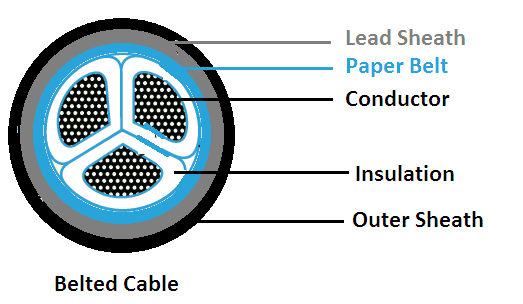 In this arrangement, a single conductor is used and earth is used as the return conductor. This arrangement is used for low power cable circuits. A bipolar system is operated as a monopolar system when a pole is out of service. The earth electrodes are designed for continuous full current operation. This system is obsolete now as it has a very high return current. However, for some schemes, the monopolar operation is the normal operation. For example, in the case of submarine cables, this arrangement is used as the cost of laying two cables is saved and the ground return current is of less concern because of sea electrodes. This system has two poles, one positive and one negative pole with respect to earth. The midpoints of converters at each terminal are earthed. Normally, this system consists of two separate monopolar systems with a common earth. Normally, both are operated with equal currents. The earth carries only small out of balance current. The bipolar HVDC line has two conductors, one of positive polarity and other of negative polarity with respect to earth. The voltage between the conductors is twice that of the conductor to earth. Hence, in this system, the system voltage is expressed as ± 700 kV. This system is generally used for transmission of power over long distance. The power rating of one pole is about half of system power rating. During fault on one pole, this system can be changed to monopolar mode. In this mode, ground current exceeds and may produce excessive heat on earth electrodes if the electrode resistance is high. In this system, there are two conductors on the tower but both of them are of the same polarity and the earth return is used. Such an arrangement reduces corona loss. The cost per km for a DC line is less as compared to an AC line for the same capacity and reliability. But this system needs additional converter stations with various terminal equipments at both the ends which increases their substation cost. Whereas AC lines require intermediate substations after a certain length (normally 300 km) as well as an intermediate compensating network which is not the case with HVDC system. This factor increases the cost of large transmission distances considerably. Hence, the AC lines become uneconomical for the larger transmission distances (usually more than 800 km). Therefore, for smaller transmission lines, AC transmission is economical whereas, in the case of larger transmission lines, DC transmission is economical. 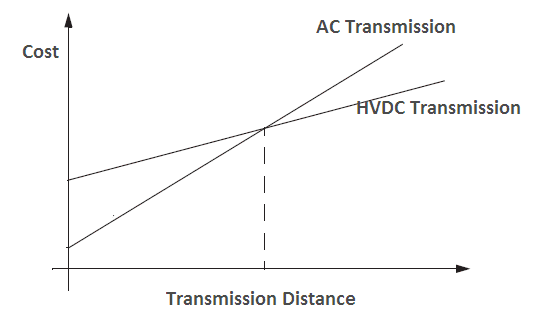 A graph, cost versus transmission distance for AC line and DC line is shown in Figure. The curves intersect at a point, which indicates that after a certain length of the line, it is economical to use HVDC rather than AC. The HVDC system needs only one or two conductors, therefore, cost of conductor reduces considerably. Hence it is very economical for bulk transmission of power over long distances. The cost of towers and insulators is also reduced. Due to corona loss considerations, when the AC system voltage exceeds 200 kV ‘bundle conductors’ are required. With HVDC transmission this limit is 400 kV. The radio interference is less and corona loss is low with HVDC system. The transmission losses are less with the DC system. In the HVDC system rectifier unit can be converted into inverter unit very easily and vice versa. Thus in this system, power flow can be reversed very easily. The charging current considerations at 400 kV for AC cables limits the ‘critical length’ to 40 km. HVDC cables do not need such charging current and there is no such limit for DC cables. Cables in the DC system do not suffer from the high dielectric loss. The skin effect is also low in the DC system. DC power can be transmitted between two systems operating at different frequencies. This is not possible with AC transmission. Greater power transmission per conductor is possible with HVDC system. There are no serious problems of voltage regulation as there is no reactance drop in this system. AC cables require shunt inductors for compensation. DC can be compensated by capacitors which are cheaper and with little-associated losses. Further, these capacitors can be used as ‘harmonic filter’ also. In the development stage, a DC system can be worked with a single conductor and earth as the return. This is also an advantage under the emergency conditions. During fault with HVDC system, the grid control of the converter reduces the fault current significantly. Intermediate substations are not required in this system. 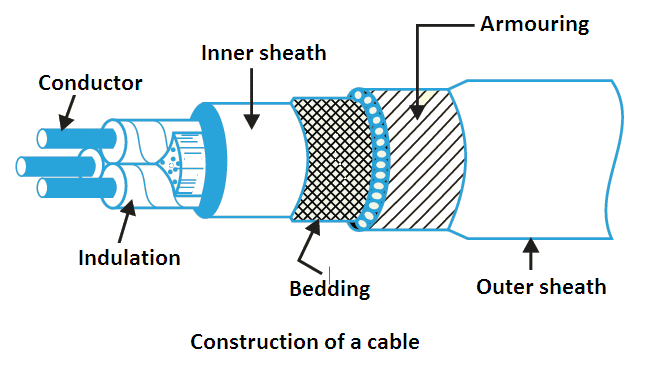 Due to unidirectional stress, DC cable insulation has longer life. In case of insulation degradation, DC converter can be operated at a reduced voltage. Lightning has never struck two poles of a DC line together. However, in the case of AC, it is known to have struck two sections simultaneously. This increases the reliability of DC link and in many cases, shield wire can be dispensed with. This system is uneconomical if the length of the transmission line is less than 500 km as converters, inverters, and filters are required additionally in this system. DC circuit breaking is difficult and expensive. Filtration is very necessary for this system due to excessive generation of harmonics. Overload capacity of this system is low. As HVDC does not transmit reactive power, it has to supply locally if required. The maintenance of insulators in this system is more. There are additional losses in valves and converter transformers. These losses are continuous. Hence, a very efficient cooling system has to be provided. Thanks for reading about “components of hvdc transmission system”. © www.yourelectricalguide.com/ components of hvdc transmission system.